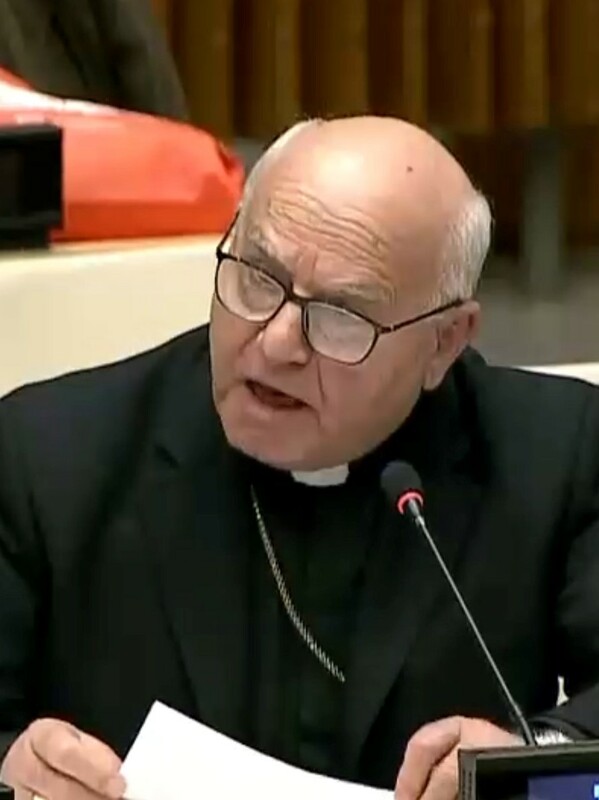 Jean-Clément Jeanbart, Archbishop of the Melkite Greek Catholic Archeparchy of Aleppo, called on the European Union to take note of the facts and not the fake news distributed by fundamentalists on Syria. The European People’s Party (EPP) Group in the European Parliament discussed on March 1 the situation of Christian minorities in Syria who have been persecuted as a result of Islamic extremism. The EPP organised an Intercultural and Religious Dialogue – a conference on Oriental Christians in the Mashreq Region. Jean-Clément Jeanbart, Archbishop of the Melkite Greek Catholic Archeparchy of Aleppo, addressed MEPs to set out the consequences of the conflicts in the Middle East on Christian communities. COMECE, Open Doors, the Conference of European Churches (CEC) and the Liaison Office of the Orthodox Church to the European Union were also present at the hearing, which was hosted by György Hölvényi and Jan Olbrycht MEPs, both Co-Chairs of the Working Group on Intercultural and Religious Dialogue. The Archbishop called on the European Union to take note of the facts and not the fake news distributed by fundamentalists on Syria. He insisted the EU needs to listen to local citizens because they are facing a civil war, which produced between 400,000 and 500,000 deaths and over 4.8m registered Syrian refugees. Jeanbart said that the European Parliament can promote political solutions and peace-building using its influence. He also underlined that only concrete actions could create peace and security, such as education for youth, reconstruction and rebuilding infrastructure, and good relations and dialogue with non-Christian citizens. Hölvényi stressed that “Christianity must be preserved in its birthplace and this is our priority in the EPP Group. The EU, the Member States and global players need to undertake more serious efforts in diplomacy, peacemaking and humanitarian assistance”. MEP Mairead McGuinness, First Vice-President of the European Parliament and responsible for dialogue with religions, said that the European Parliament can provide platforms for these communities to meet, and also offer a great opportunity to listen to churches and NGOs from the region. The EPP Group intends to help Christians rebuild their life in the Middle East, she added. MEP Christian Dan Preda pointed out that Christians and other minorities in Syria won’t go back to their homeland if there is no safety and security. He said there is no solution without the involvement of neighbouring countries. In turn, MEP Michèle Alliot-Marie highlighted the differences between the member states’ attitudes on this question. But the main objective is to help Christians to stay at home or return to their homeland and to encourage economic development, for which concrete projects are needed.